The road was quiet and there weren’t a great deal of traffic so I was shocked when we arrived there and found a car park that covered several hundred square metres and was completely full of cars, I couldn’t imagine where they had all come from, it was as though they had been beamed down from space. 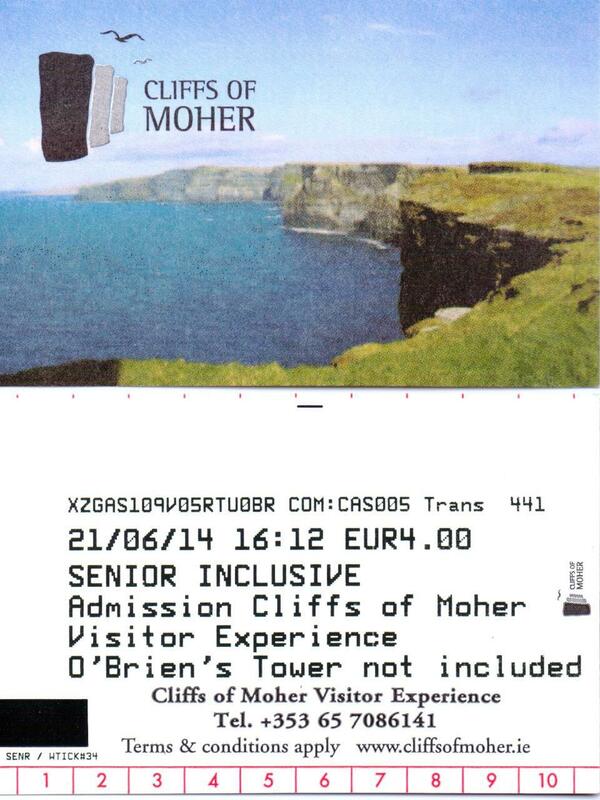 The second shock was the admission fee which at €6 seemed excessive to me so at the pay booth we asked for four senior tickets at only €4 each and got away with it. This was a massive shock to Kim who sulked for the next few minutes because she hadn’t been challenged and later that night she used a lot more miracle night cream than she normally does. 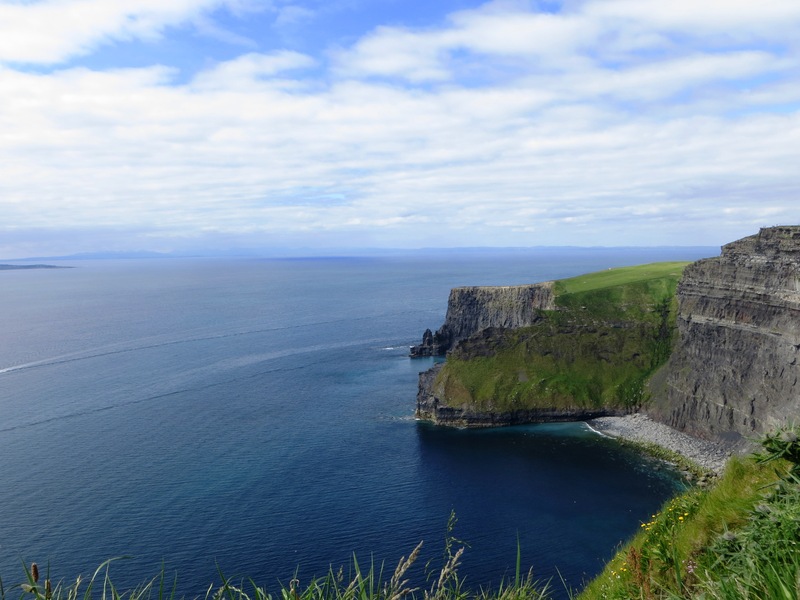 This entry was posted in Beaches, Eire, Europe, History, Ireland, Literature, Travel, World Heritage and tagged Catalonia, Cliffs of Moher, County Clare, Ennistymon, Eugene's Ennistymon, Father Ted, Guinness, Ireland Postcards, Life, Suicide Statistics. Bookmark the permalink. Touché for the senior tickets. Now we can get them legitimately! We have similar near me but is free the wild coast of Quiberon! Ha ha, Kim would love it here always being asked to show a license to purchase wine. Being a Senior certainly has benefits!